AMAZING PRICE AND VALUE! 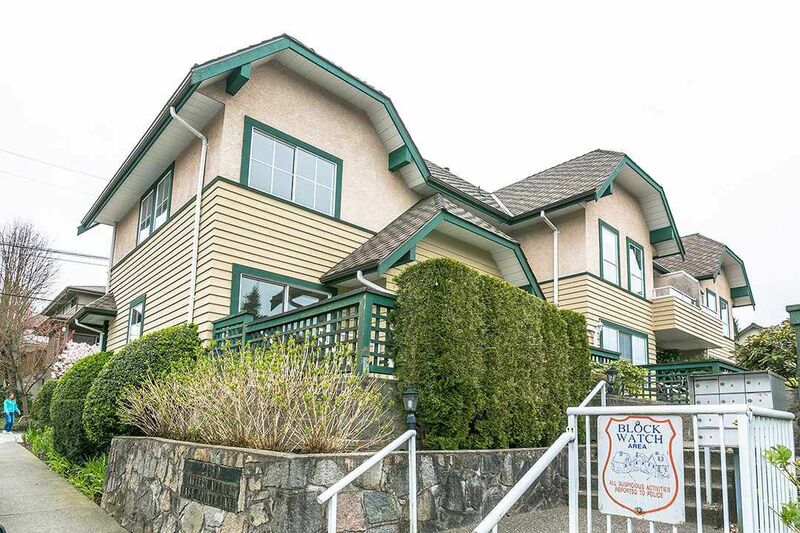 This is your opportunity to own a charming 3 level townhome in a rarely available 9 unit complex in Central Lonsdale. East Pointe Lane is Brody-built and well-run with little turnover. Your bright 1,717 sq. ft. end unit is the largest in the complex and features an abundance of windows and many updates: gas fireplace, hardwood floors, crisp white kitchen cabinetry, fresh paint and new carpet. The well designed floor plan includes an eat-in kitchen, dining room, 2 generous bedrooms, 3 bathrooms, living room and a recreation room. The bottom level is perfect for a home office. Highly utilized outdoor spaces offer an oversized west facing patio, a balcony off the kitchen and a lower level garden patio! Close to schools, recreation centre, green spaces & every amenity. Direct access to secured underground parking. 1 cat or dog welcome. Pristine and move-in ready. Immediate Possession! Taking offers!